The year 2014 marks the 70th birthday of Prof Mark A. Cane of L-DEO of Columbia University: to celebrate this occasion we are organizing a Symposium. The talks will start at 9am and end at 5pm on both days. After the talks on Monday there will be a full reception at Lamont (with lots of food and drinks – so no need to plan on dinner). There will also be an 8:30am bus leaving from the city on Monday morning and a 9:30pm leaving in the evening after the receiption. “There may still be a few minor changes to the agenda, so the posted times are subject to change"
11:00 Amy Clement (U Miami): How much does the climate vary on multi-decadal timescales and why? 11:40 Christina Karamperidou (U Hawaii): Does El Niño variability affect warming trends in the tropical Pacific? 9:30 Peter Molnar (U Colorado): Eastern tropical Pacific SSTs and the salinity contrast across the Isthmus of Panamá: If the Isthmus has been there for a long time, what climate change led to the salinity contrast? 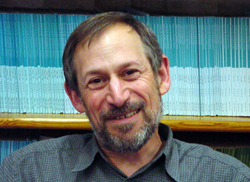 3:50 John Marshall (MIT): Perspectives on the role of the ocean in transient climate change. Symposium registration is free of charge, but please R.S.V.P.. The R.S.V.P. deadline is over. Seating in the auditorium is limited, so please register early (it will also help us estimate the number of participants). We are looking forward to seeing you this	Autumn in New York!